It may be surprising to hear that the disease most feared by people aged over 55 in the UK is dementia – ahead of cancer, heart attack and stroke. With symptoms including memory loss and difficulties with thinking or language, dementia can disrupt not only the lives of people living with the condition, but also friends and family, who often act as carers. There are an estimated 850,000 people living with dementia in the UK, and this number is expected to rise as our population ages. The condition costs the NHS £4.3 billion a year, as well as a further £10.3 billion for social care. There is no cure for dementia, and so taking action to reduce the risk is particularly important. Yet new results from NatCen’s British Social Attitudes Survey revealed more than a quarter (28%) of the British public is unable to correctly identify any potentially modifiable risk factor for developing dementia and only 2% could identify any of the following risk factors: heavy drinking, smoking, high blood pressure, depression and diabetes as well as the protective factor of taking regular exercise. In fact, there is growing evidence that as much as a third of dementia cases could be a result of modifiable risk factors such as smoking and not getting enough exercise. Dementia is not an inevitable part of ageing. What’s good for the heart is good for the brain and simple steps like giving up smoking, reducing alcohol intake, losing weight and taking regular exercise could reduce the risk of developing dementia in the future. Programmes such as the NHS Health Check are specifically aimed at spotting risky behaviours in people aged 40 to 74 and referring them to support and advice on making healthier choices. The programme includes a dementia awareness raising discussion for those aged 64 and over, but this year PHE has been working with the Alzheimer’s Society and Alzheimer’s Research UK on a pilot project to extend the check to all 40-64 year olds. The aim is to raise awareness of actions to reduce dementia for those in middle age, which is a key time, by signposting to local services and offering practical tips. Findings will be shared in spring 2017. PHE’s One You campaign was also launched earlier this year to raise awareness of the fact that it is never too late to take control of your health. Aimed at adults, particularly those in middle age, the How Are You quiz can be used to evaluate different aspects of health and links to personalised tools that support healthier choices. 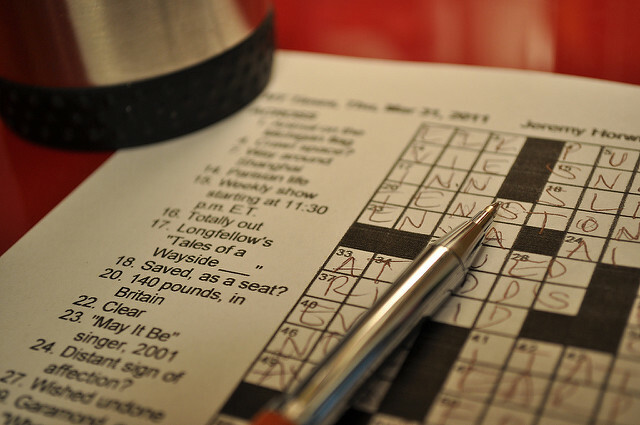 Protective factors are also important, including keeping the brain stimulated by learning a new language, doing crosswords and playing word games. Activities such as volunteering and meeting friends can also protect against social isolation and loneliness, which are risk factors for dementia. Health professionals and commissioners have an important role in promoting awareness of dementia risk reduction and early interventions for people at risk in their local areas. PHE produces a number of tools and guides to support this. For example, our dementia profile enables local authorities and clinical commissioning groups to compare and benchmark data on local risk factors for dementia such as smoking prevalence, physical inactivity, excess weight and alcohol-related hospital admissions. This can help to prioritise efforts to reduce these risk factors. The data also shows local uptake of the NHS Health Checks. We also provide a wide range of assets and materials to help local authorities and NHS organisations make sure the One You campaign reaches people in need of support in their communities. Of course, we also want to support people who have dementia to live well, and we are working with Alzheimer’s Society to create Dementia Friendly Communities across the UK to help people with dementia feel understood, valued and able to contribute to their community. But we must do more to reach the thousands of people who, by making small lifestyle changes, could avoid or delay the onset of dementia and enjoy a healthy and independent life for longer.